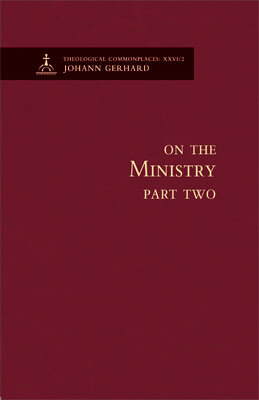 Announcing the release of Johann Gerhard's "On the Ministry II"
Concordia Publishing House is proud to present Gerhard’s On the Ministry II, the latest volume of the Theological Commonplaces in English, coming beside On the Ministry I and On the Church to complete Gerhard’s definitive treatment of the doctrines of church and ministry. We asked Rev. Dr. Benjamin Mayes, general editor for the series, how this volume can help pastors today, what advice Gerhard would give current students, and even how this volume would be helpful for laypeople. Read on for his answers to these questions and more. 1. As an ordained pastor yourself, did you find anything in this latest Gerhard volume that will help you in your ministry? 2. What advice do you think Gerhard would offer to seminary students today? 3. Gerhard discusses practical issues, such as salary, celibacy, and marriage. How are Gerhard's writings applicable to the ministry in today's world? 4. 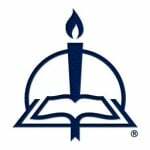 How does this volume help laypeople support and encourage their pastors? 5. CPH has several volumes of Gerhard available. For those who haven't yet subscribed to the series, what book do you suggest they start with? To order, click here. To read the official press release, click here.